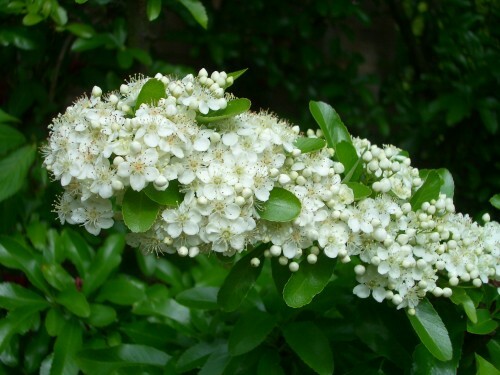 Pyracantha, sometimes called Firethorn, is an evergreen shrub with small glossy leaves and sharp thorns about 2-3 cms long. Clusters of white flowers appear in spring each with five petals and long stamens. 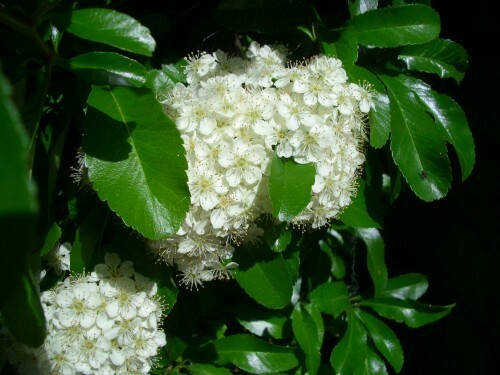 In autumn the flowers are replaced by bright orange berries, making this an attractive plant to brighten up walls or any dull feature of the garden. This is another shrub that the deer tend to avoid, but the birds love the berries.